Rants and Raves with Yvonne: Join Me on Dial Rewards! 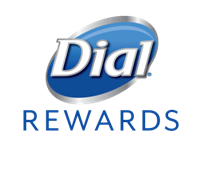 Dial Rewards is where you can complete activities for points. It's really easy to join. You earn points by watching videos and taking surveys. Then redeem your points for sweepstakes and instant win games for gift cards such as Amazon. I think it's a great program and know that you will like it as well as I do. Sign up for Dial Rewards here and use my code 711ZL to get your first 500 points free!